Silverbrow's designer bedrooms combine phenomenal aesthetics with functionality and comfort. Our extensive range of fitted bedrooms includes spectacular designs with luxurious finishing touches. 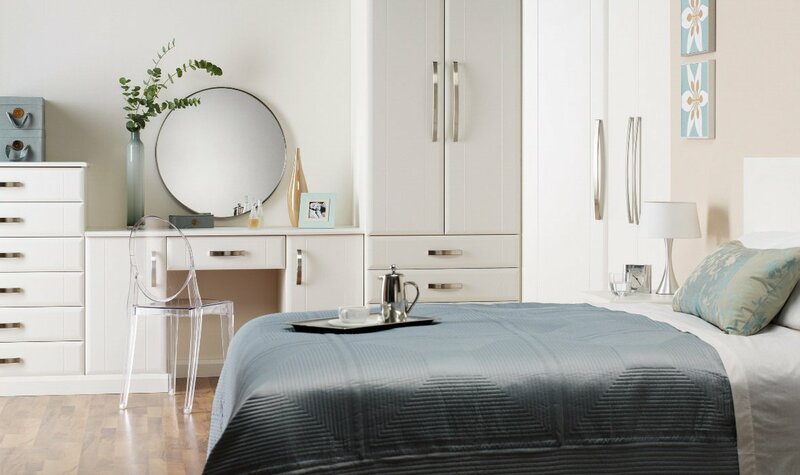 There is no longer a need to struggle for space, our fitted bedrooms feature amazing storage facilities which create more room for your belongings. Whatever the shape or size of your bedroom, our knowledgeable and experienced designers will help create an atmosphere of harmony. Our bespoke bedroom furniture and empathic design service guarantees a personalised bedroom, which not only fulfils your needs but satisfies your tastes. We pride ourselves on delivering incredible designer bedrooms with a first rate service. If you desire a quality design that stand's the test of time, contact us today, or visit one of our stunning showrooms. We specialise in both modern and traditional designer fitted bedrooms in Hampshire, The New Forest, Winchester and Southampton.